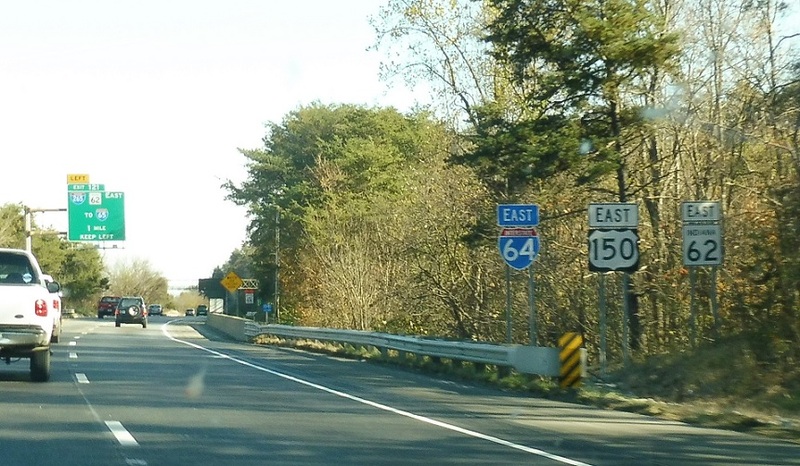 Reassurance shield as US-150 joins the concurrency. 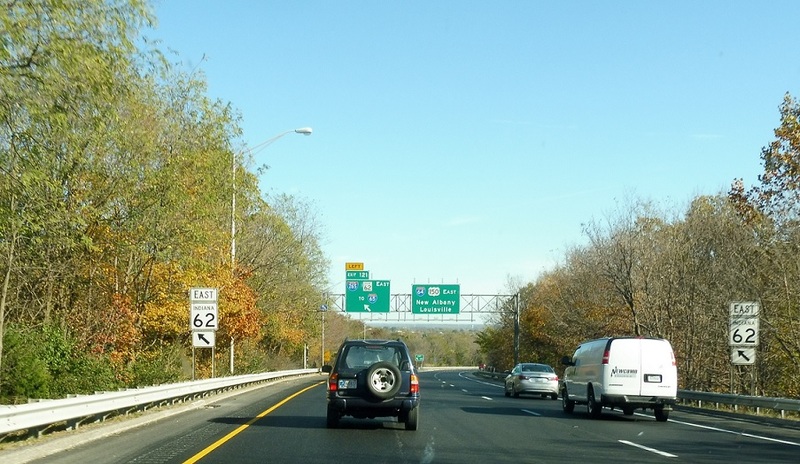 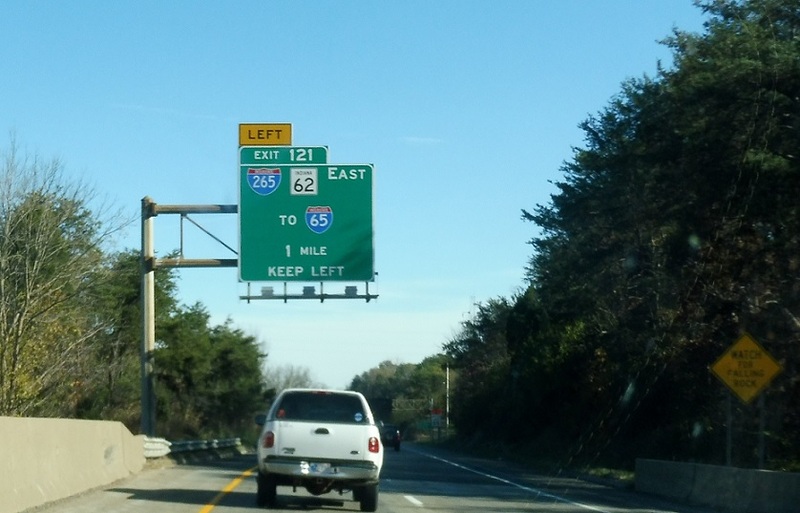 In a mile, keep left for Interstate 265/IN 62, which provides the best connection to I-65 north. 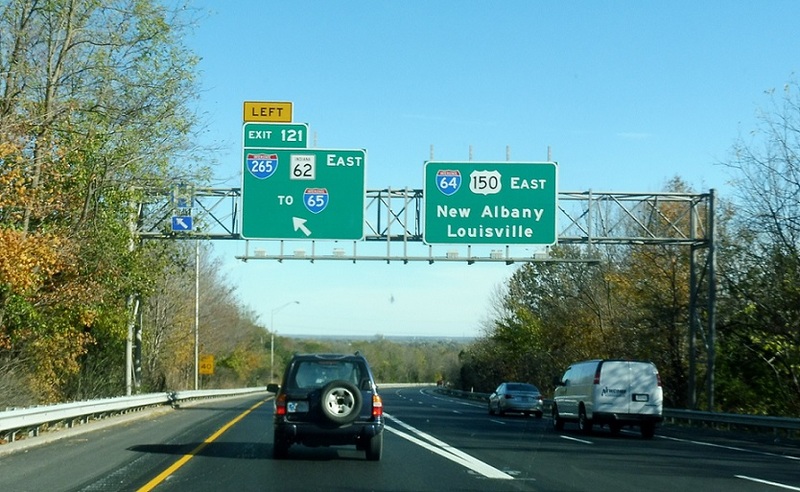 1/2 mile to I-265/SR 62. 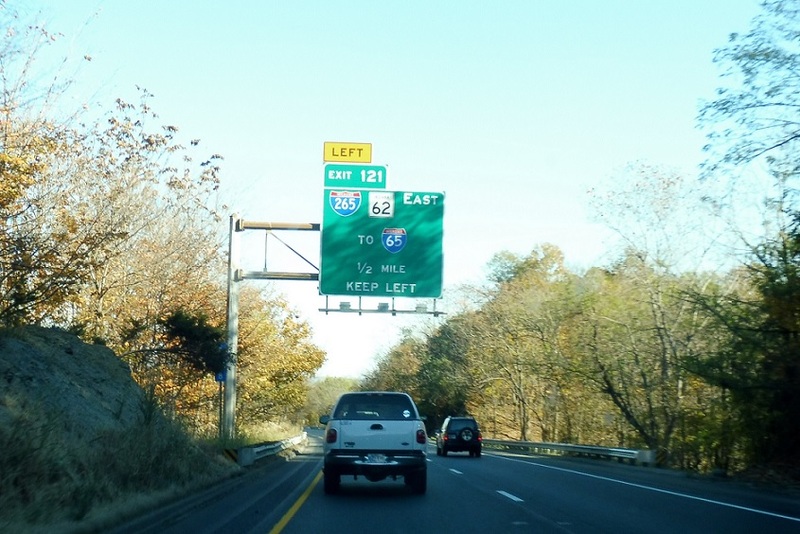 At the split, keep left to stay on SR 62, which follows I-265. 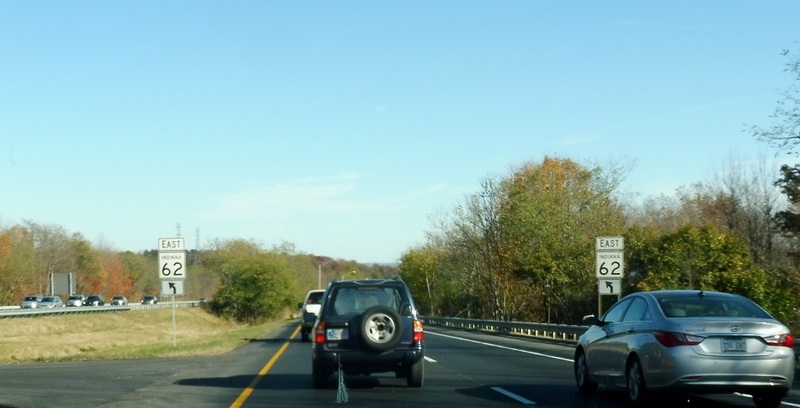 Another reminder to keep left for SR 62.